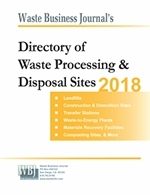 Waste Services, Inc. (Nasdaq: WSII) today announced that it will release its 2007 third quarter results after the close of markets on Tuesday, October 30, 2007 and hold a conference call on Wednesday, October 31, 2007 at 8:30 a.m. (ET). A copy of the third quarter press release will be available on our website after its release. Our Chief Executive Officer, David Sutherland-Yoest, accompanied by other senior management, will discuss the company's third quarter results. If you wish to participate in this call, please phone 866-761-0749 (US and Canada) or 617-614-2707 (International) and enter passcode number 49978114. 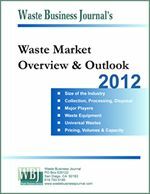 To hear a web cast of the call over the Internet, access the home page of the Waste Services website at www.wasteservicesinc.com. A replay of the call will be available until November 14, 2007 by phoning 888-286-8010 (US and Canada) or 617-801-6888 (International) and entering passcode number 97716015. The web cast will also be available on the company's website.